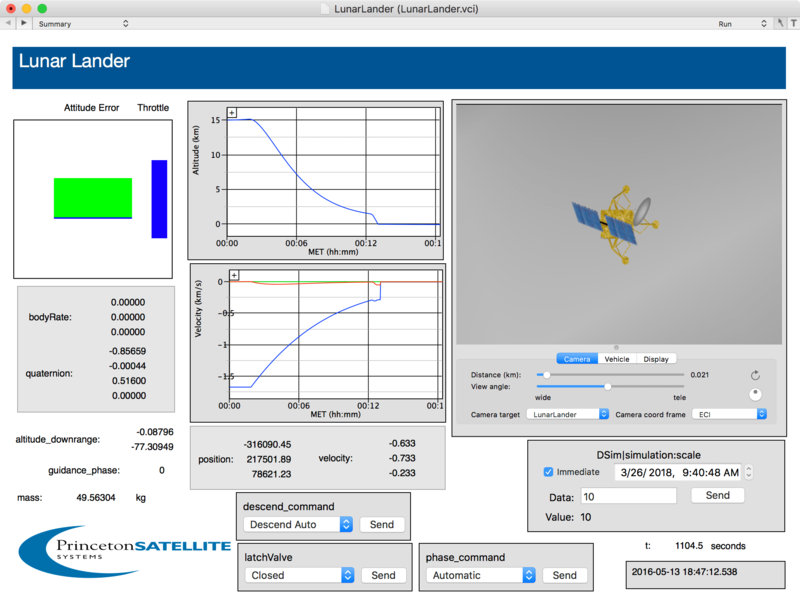 We have transitioned our lunar lander work from the Spacecraft Control Toolbox to VisualCommander. 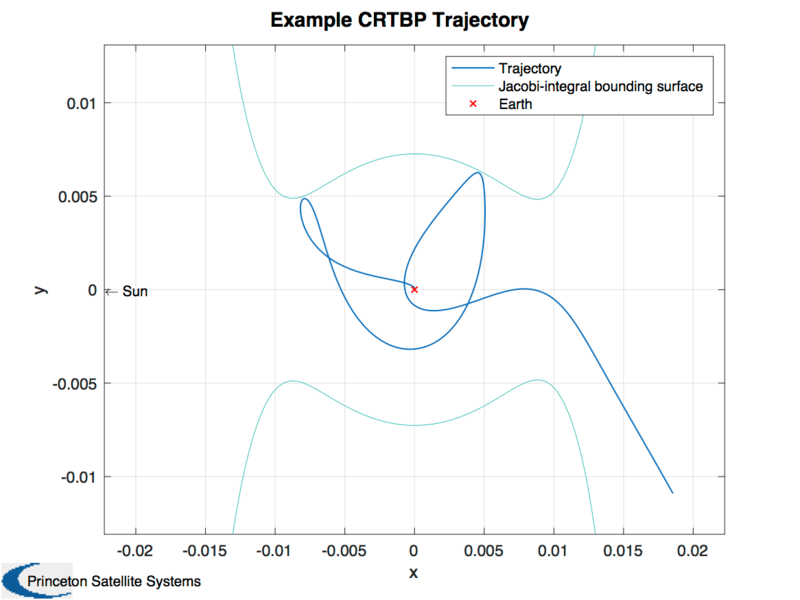 Here is a simulation of the lander heading to the moon on the elliptical transfer orbit designed in our Landing on the Moon blog post. The model was discussed in our Moon Lander Design blog post. 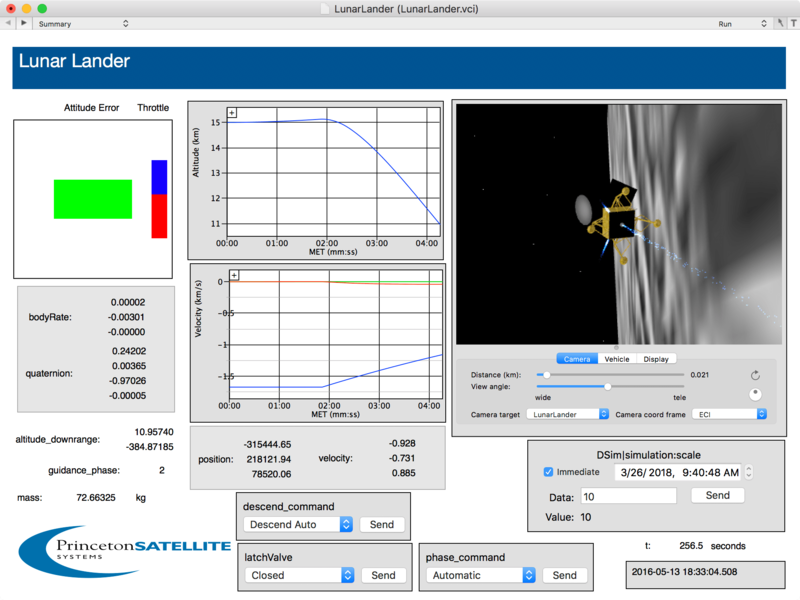 We exported it from the Spacecraft Control Toolbox as a Wavefront obj file. The textures were applied by Amazing3D Graphics. Amazing 3D Graphics builds very high quality models with low polygon counts that are ideal for simulation and games. 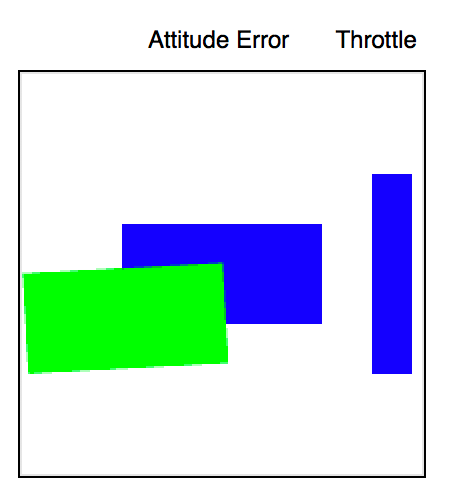 The attitude control system is our Precision ACS system. 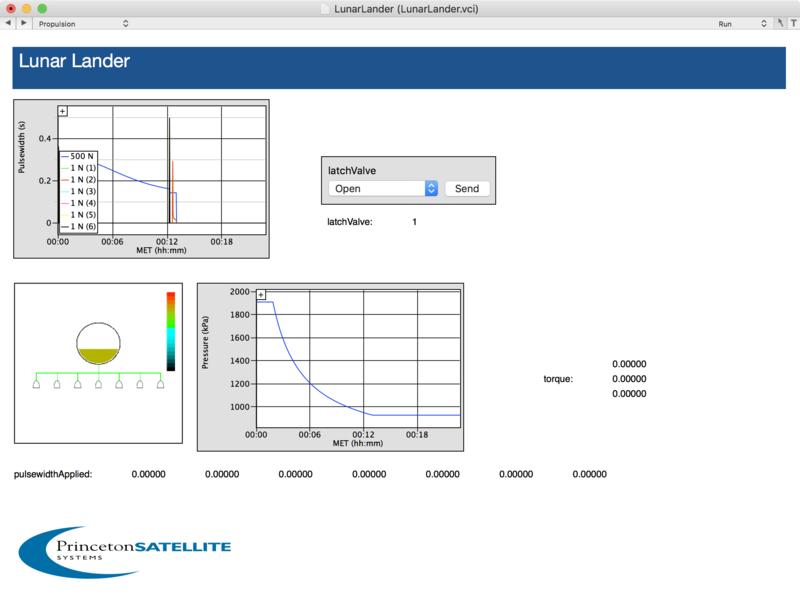 In the next few weeks we’ll be adding software to perform mid-course corrections, lunar orbit insertion and lunar landing. Say tuned! There is a lot of interest in lunar landing missions for both scientific exploration and commercial purposes. Commercial applications might include mining helium-3 for future nuclear fusion power plants on earth and mining water for rocket fuel. 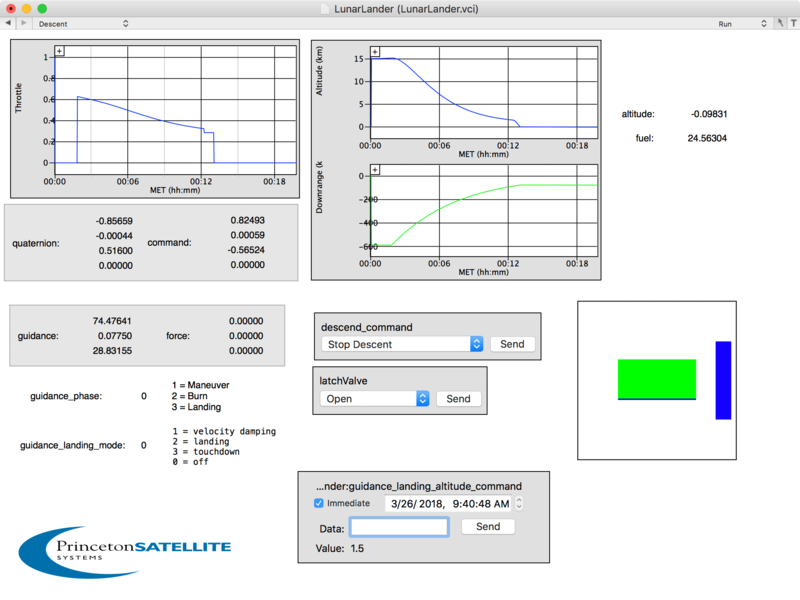 The Spacecraft Control Toolbox makes it easy to do preliminary planning for lunar missions. 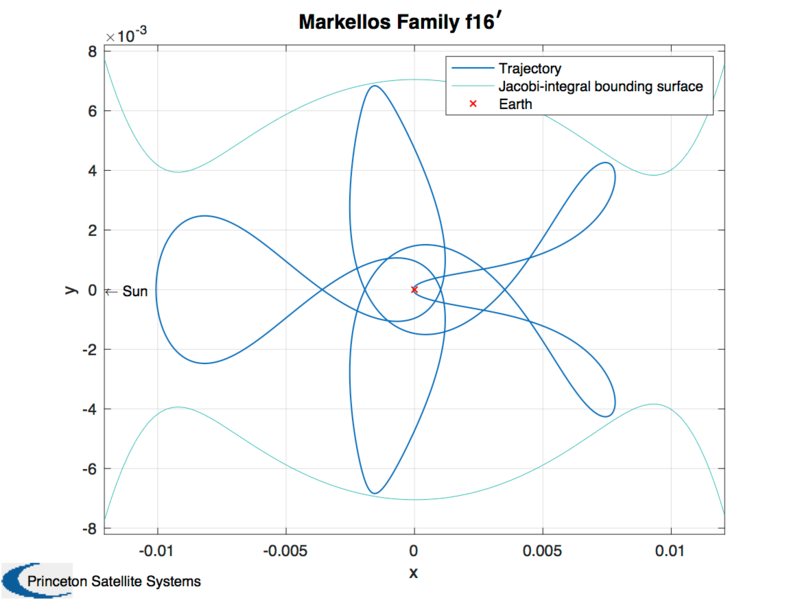 In this blog we present a single MATLAB script that takes a spacecraft from a low Earth parking orbit to the lunar surface! 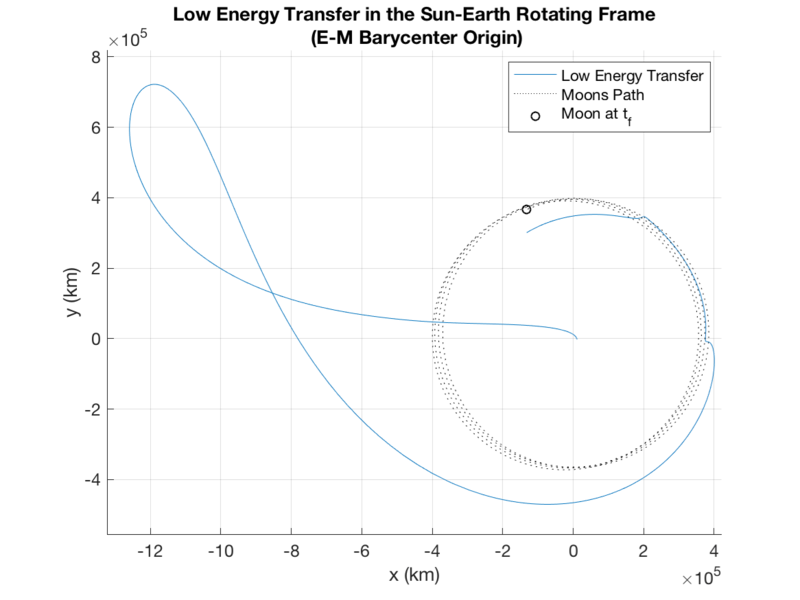 Here is the final segment, the descent to the moon. 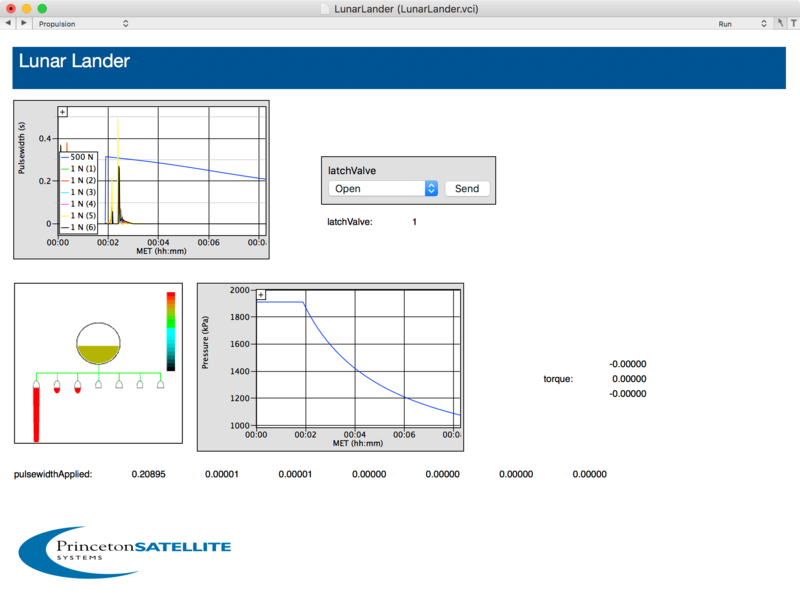 We ended up with a 30 kg dry mass for a spacecraft that can use an ECAPS 220 N HPGP thruster for delta-v.
You can also send us an email to find out more about our Lunar Mission Design Tools.